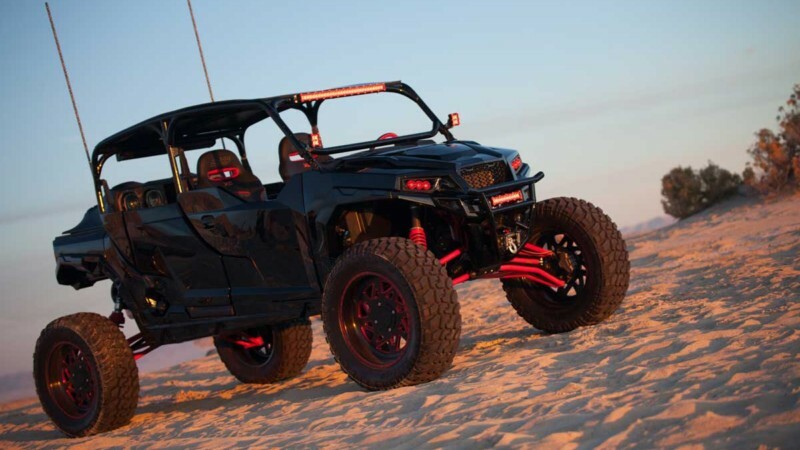 A DIESEL SHOPBUILDING A UTV? Usually when we think of the two together, it’s a payload/hauler relationship on its way to some fun filled destination. 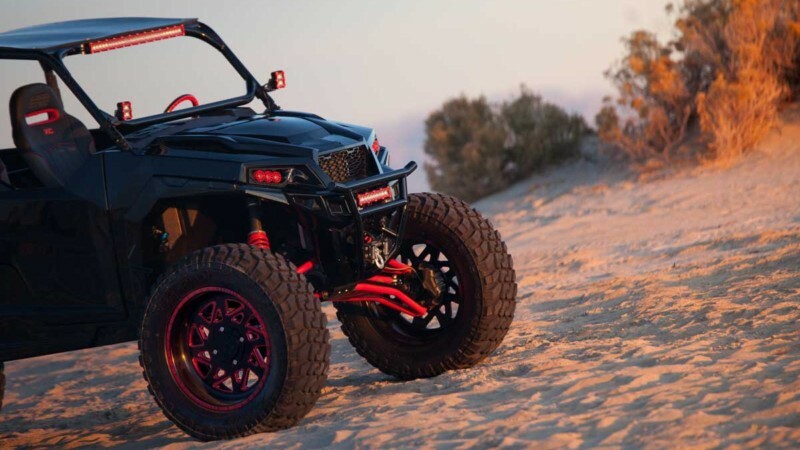 So how did we end up building a Polaris General for none other than the famous (and now retired) Seattle SeaHawks running back Marshawn Lynch? 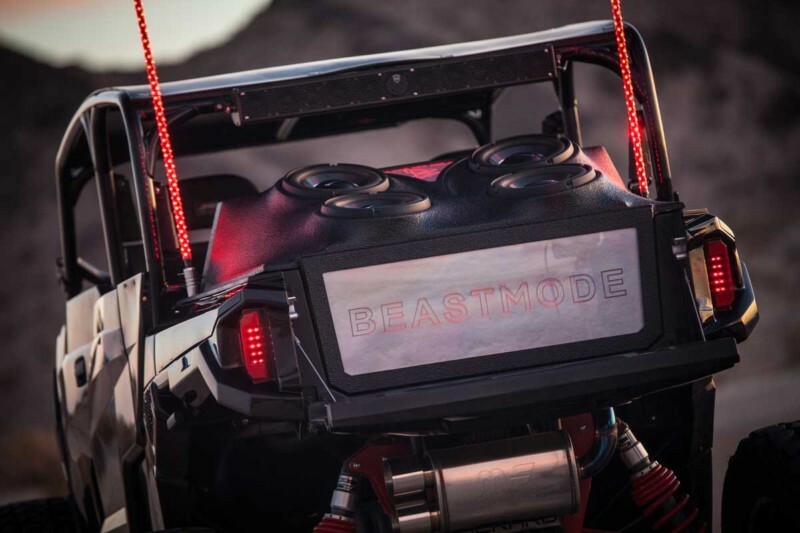 After Marshawn stumbled upon one of our UTV builds, the #FailoftheYear on Instagram, he reached out to us to build him a one-off UTV. He wanted it big, in your face, and LOUD. 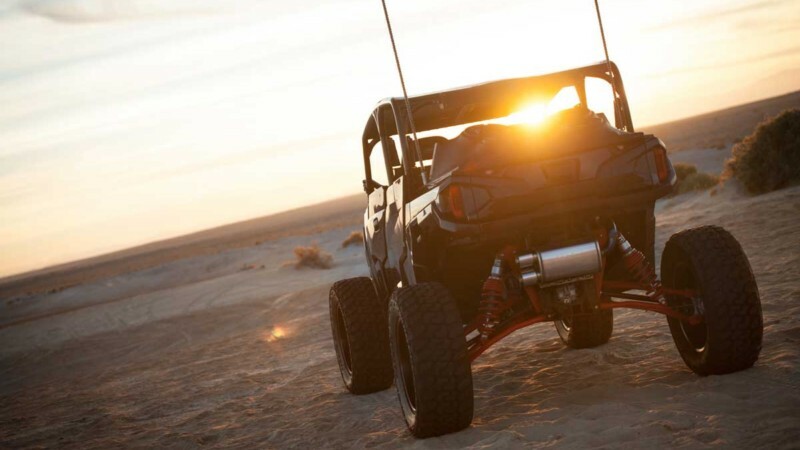 Polaris RZR’s seemed to have the spotlight so we went a different direction, and chose the General 1000 as the platform vehicle. Right off the bat, we went with a 7″ HighLifter kit making room for the 35×12.50R20 Patriot Tires. 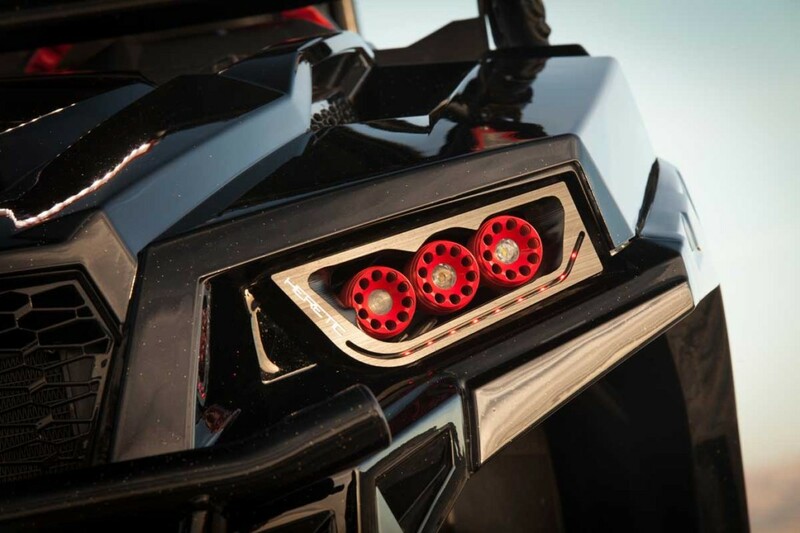 The 35″ tires are snuggly wrapped around custom-made 20″ American Force Wheels. The drivetrain is all stock, apart from the Packard Performance exhaust system, which lets the engine breath a little easier and provides and clean exhaust note. The Polaris General typically sports a dumping utility bed, but we had a hard time picturing Marshawn hauling around his yard work tools (mainly because were sure he has “people” that take care of those kinds of things). 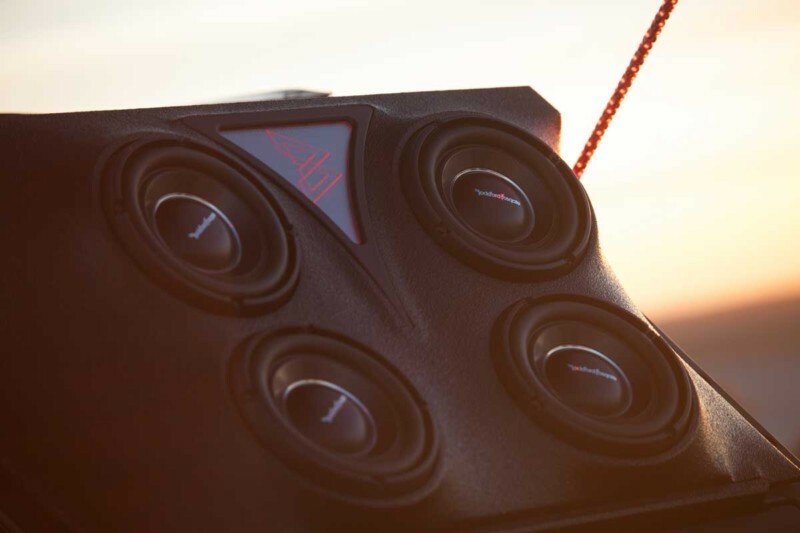 But we had a better idea to fill that space – a custom-built fiberglass enclosure holding (4) 10 inch Rockford Fosgate Subwoofers and (4) 6 inch Rockford Fosgate Punch Speakers, all controlled via the Rockford Fosgate PMX-2 Marine Receiver. 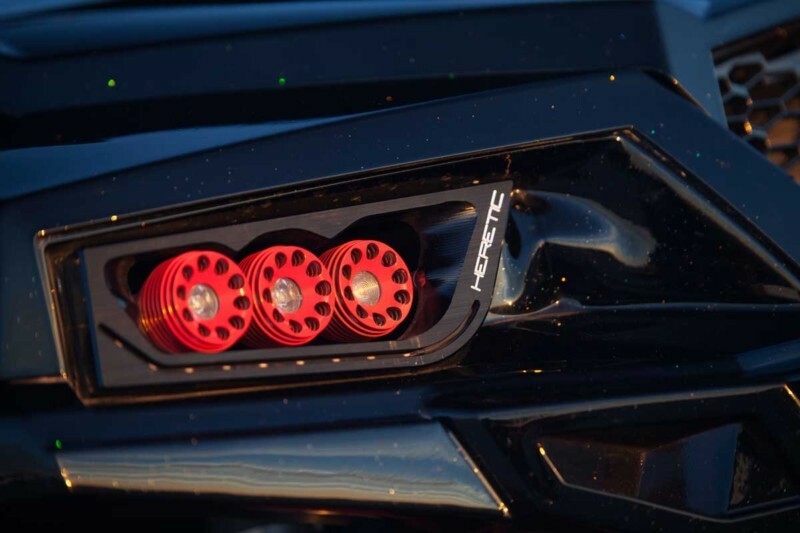 All about the cosmetics, we went with a simple gloss black paint, but threw in some candy flake to spice it up. 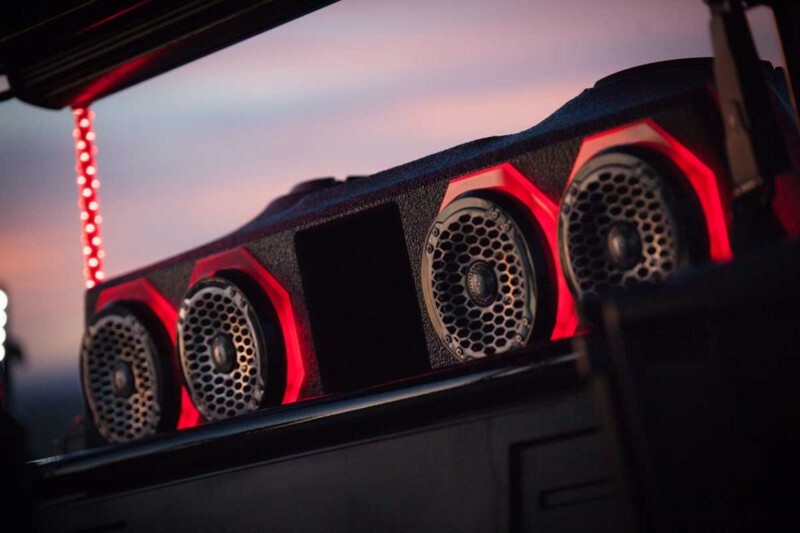 The subwoofer enclosure (built by The HiFi Shop), LED whips, and select interior accents are complimented with red LEDs. 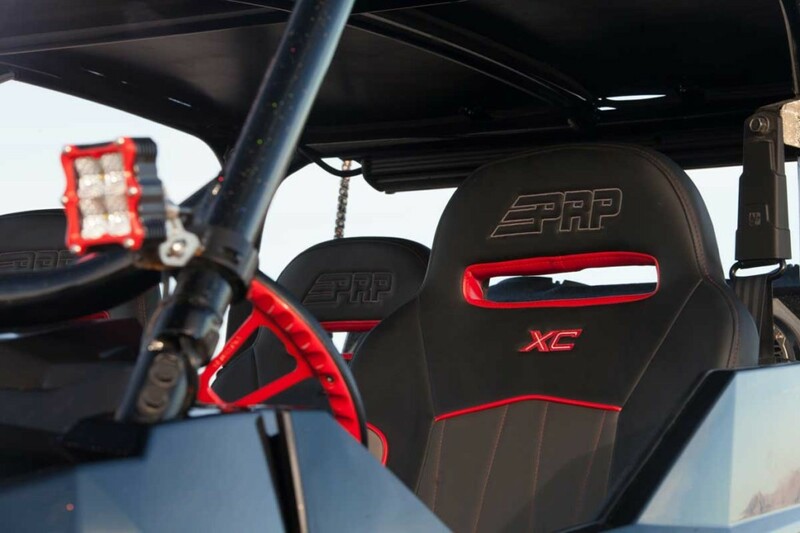 Finally, we threw in a set of PRP XC bucket seats to provide that extra cush feel, comfort, and appearance. 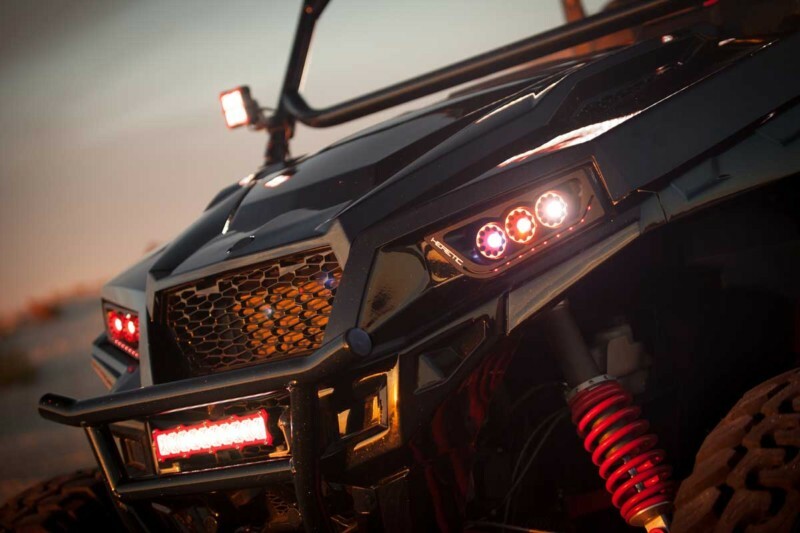 Let us know what you think about this Sparks Motors built UTV in the comments below. I saw it on Diesel Brothers last night and I was blown away! My husband is a fan of your show and he was like damnnnn that is one bitchin’ ride! I watched this episode last night, and let me say, that looks like a blast!!! I’d love to drive that and tell my father in law his gator looks like a baby! Haha! Looks awesome guys! 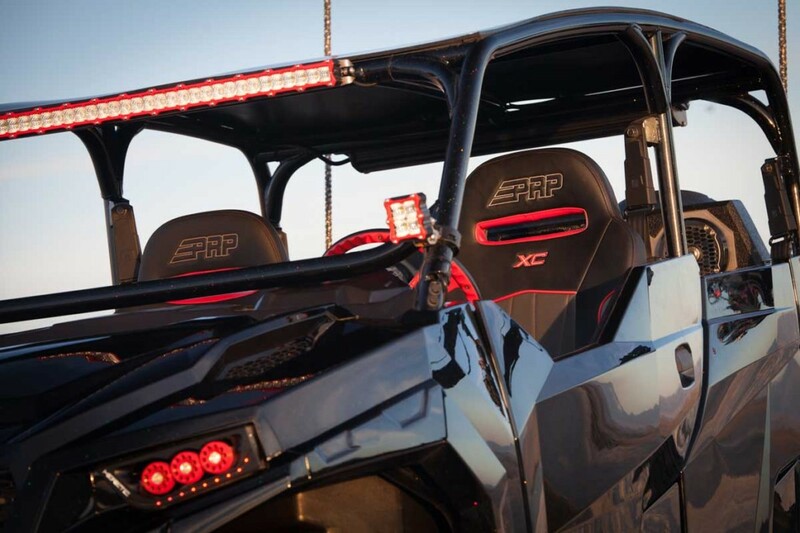 I want this utv ! This thing Is SICK !!! 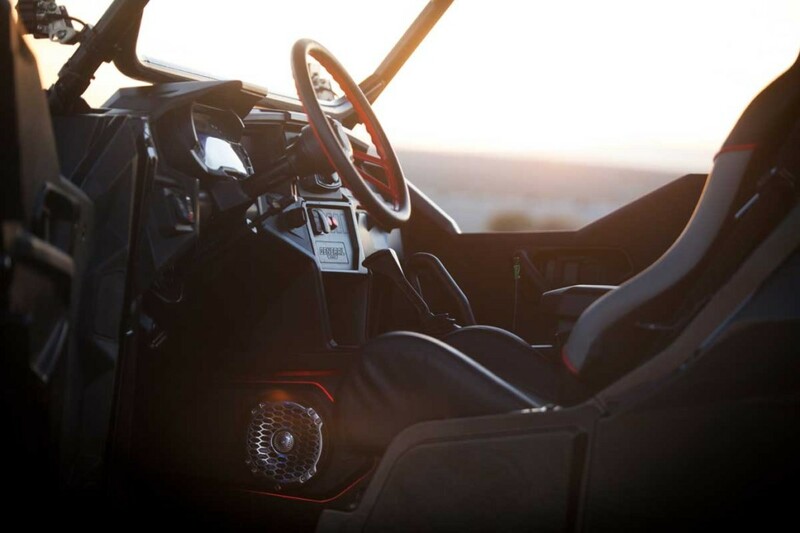 What type of steering wheel is used? ?